- Let cool and enjoy! This is an easy peasy recipe for a great week-day dinner and fancy enough for company. You can stuff your mushrooms with practically anything, so feel free to change this recipe up! You can sub the potatoes for sweet potatoes or add some of your fav beans and add some Mexican spices. stems removed-save and chop the stems. - Heat your oven to 375 F.
- Cut your potatoes into 1/2 thick slices and boil until soft (about 20 minutes). - Drain potatoes, mash with 1 Tbsp butter, salt and pepper. 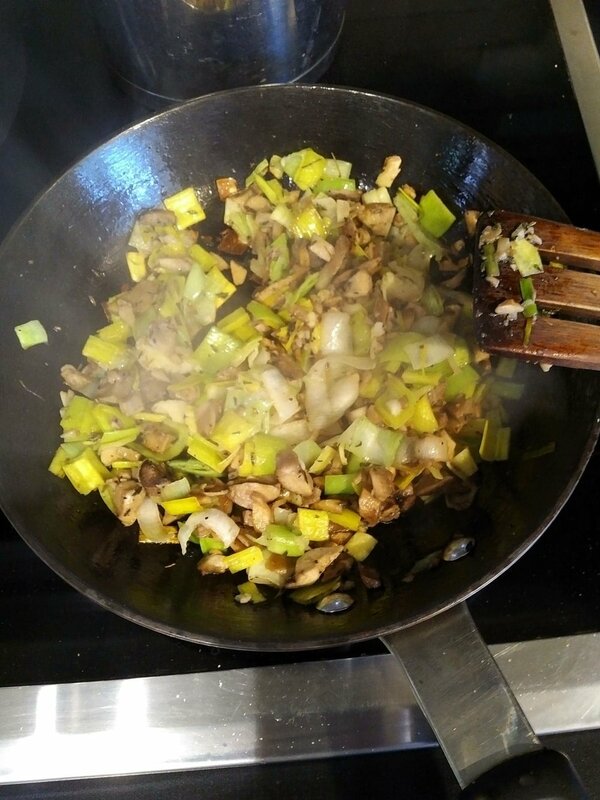 - Add 1 Tbsp of oil to a large pan over medium high heat, and add your chopped mushroom stems, leek (or onion), garlic, 1/2 tsp salt and pepper and all the thyme. Cook for 4-5 minutes or until soft. Stir into mashed potatoes. - Stir cheese shreds and frozen kale into the potato mixture. - Rub the remaining oil over the mushrooms and season with salt and pepper (don't be shy with the salt). Place on a baking pan lined with parchment paper. - Add potato mixture to the mushrooms evenly and top with bread crumbs and a tiny dab of vegan butter. - Cook for 30 to 35 minutes. * using leftover mashed potatoes makes this quicker. Also, add any fresh or dried herbs you like. * Serve with your favorite salad. I served with beet/orange salad! Plant Based Poutine - YUM! Poutine may have started out as a Canadian treat, but you can find it anywhere now. This plant based recipe is really easy and absolutely delicious! 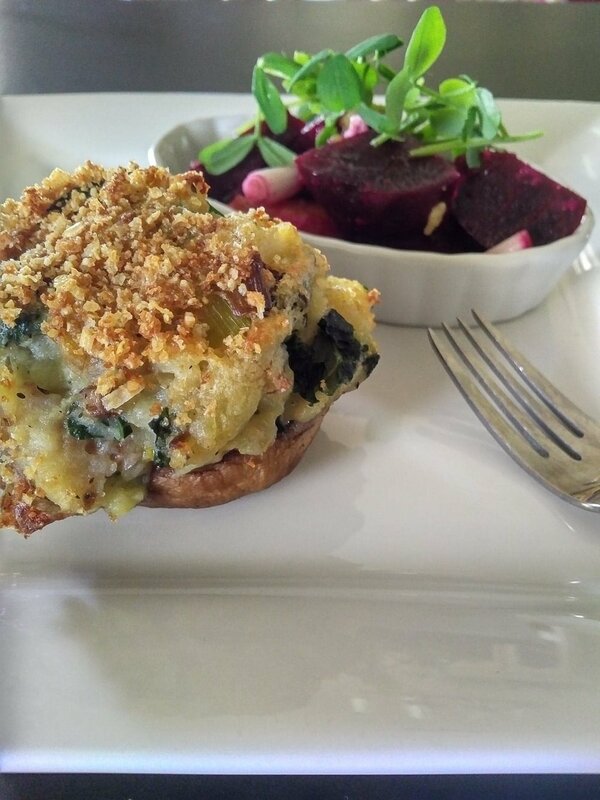 You can either make the entire dish from scratch or buy the ingredients and simply assemble - whichever works for you! - Put the fires into a large bowl of ice cold water and let soak for 30 minutes to overnight. - Heat oven to 425F (220C). - Drain the fries and place on a dry dish towel to dry out as much as possible. - Add fries to a large bowl and toss with oil and salt. - ALTERNATIVELY – You can buy premade French fries and cook about 2-3 cups according to the directions. - Heat up the oil or butter over medium high heat in a large saucepan. - Add mushrooms, onion and garlic and sauté for 4-5 minutes (or until soft). - Add flour, salt, pepper and thyme. Cook for 1 minute. - Slowly whisk in stock and cook for about 2-3 minutes (until it thickens). - ALTERNATIVELY: You can buy a package of Vegan gravy and prepare according to the directions. - Add the cashews to a small pot and with water. Bring to a boil for 10 to 15 minutes until they are softened. - Drain and rinse the cashews and add them with the 1 cup of water and all the remaining ingredients to a blender. Blend until completely smooth. It will be watery. 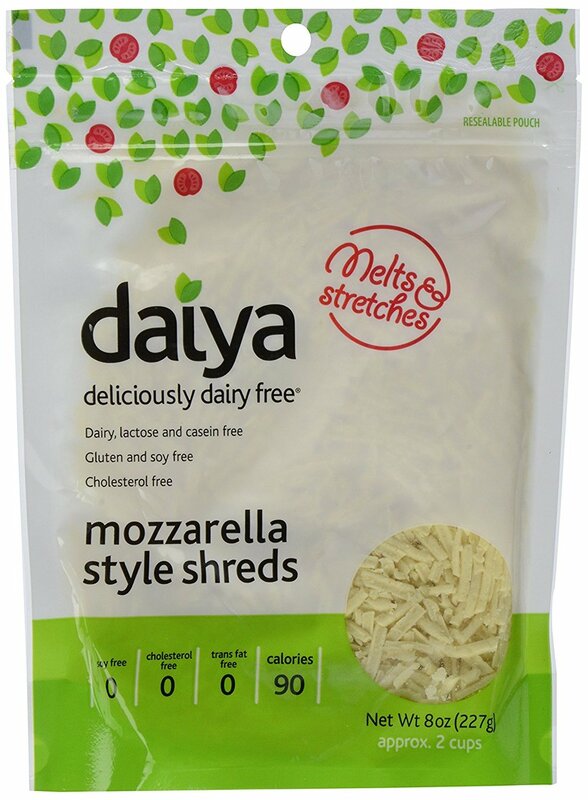 - ALTERNATIVELY: Use a Plant based cheese like Daiya Mozzarella Shreds. - Place Fries in a large serving dish. Top with as much cheese as you like and cover with hot gravy. If you are thinking about changing your lifestyle to include being vegan, you have made a great choice! We have some steps to help make the transition easy! First thing is there are no hard and fast rules. You need to make changes in a way that works for you. Don't view a plant based lifestyle as the finish line, but as an evolving process of mindful eating and living. I can tell you that you will eventually lose all cravings when it comes to eating animal products. I can also tell you, you WILL get enough protein, and you WILL be asked this question for the rest of your life. Many people go vegan overnight and if that works for you – great. But for a lot of you, baby steps work best. You can start off by making small changes to your everyday meals. Here are some ideas but always make sure whatever plan you chose, it works for you. During your first week, you can try switching up your breakfast meals to plant based choices. Tofu Scrambles, Nut Butter and banana toast, avocado toast and protein packed smoothies are all quick to prepare and delicious. 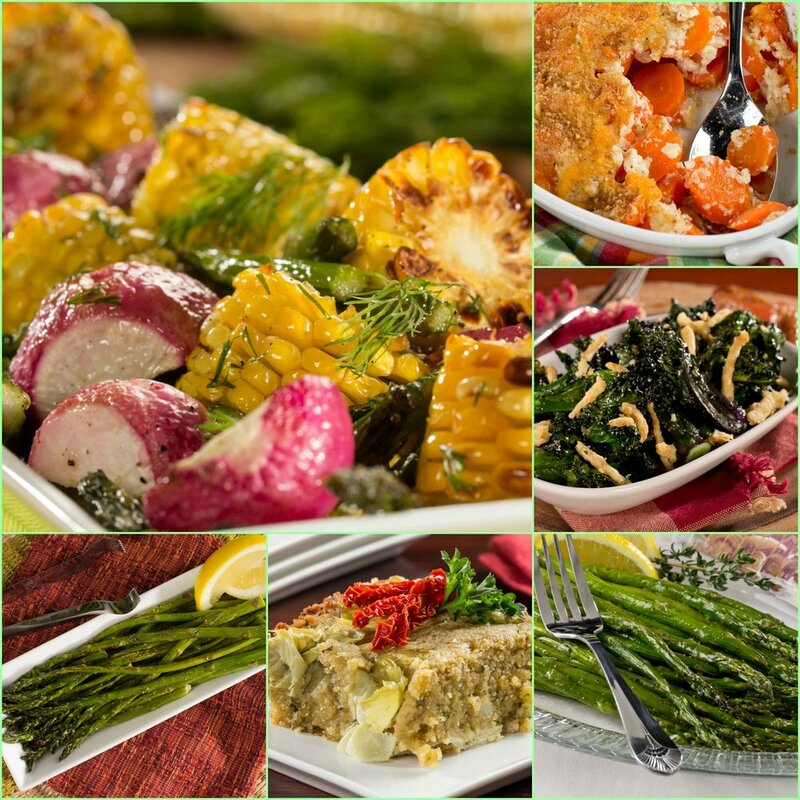 Our website has tons of easy recipes. Adding either nut or coconut milk or vegan cream replacements to your coffee is another easy one. There are great butter replacements in the grocery stores or you can use coconut oil. Try to source out ingredients that don’t contain unsustainable palm oil. Next, you can start adding plant based lunches. If you can switch them all up at once that’s great. If not, change up your weekday lunches and leave the weekend meals for later. Smashed chickpea and avocado wraps, vegan pesto pasta, instant vegan miso soup, and quinoa veggie bowls are all super easy to make, are packed with protein and are tasty. There are plant substitutes for almost everything out there. So if you are craving mayo on your wrap, your grocery store probably stocks vegan mayo-if not, ask for it. Looking up new plant based recipes to try will give you some inspiration and help you when you go grocery shopping. While you are researching new recipes, take a look for local restaurants who offer vegan choices. When you are eating out, most restaurants will accommodate your requests for a vegan meal, so if you don’t see something on the menu just ask. And as far as the protein question goes, here is your answer - rich sources of protein are found in all types of plant based foods including beans, soy products like tofu and seitan, quinoa, nuts, seeds, nut butters, lentils, non-dairy milk, green peas, oatmeal, hummus, hemp seeds, spinach, asparagus, cauliflower, broccoli, bananas, nectarines, nutritional yeast and wild rice…. As you can see there are tons of ways to add protein to your plant based diet. Remember that living a plant based life isn’t just about your food choices nor is it a “diet”; it is about living a healthy life while causing the least amount of harm to animals and our environment. You need to find your reasons for choosing this lifestyle and remember them if and when you think you might stray. Once you learn the real affects animal products have on your health and the environment, it will be an easy choice. 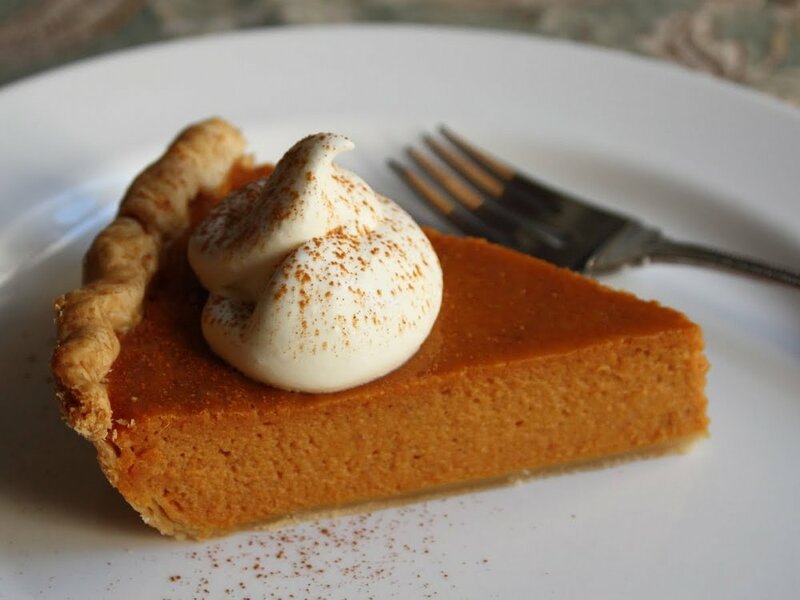 Easy Plant Based Desserts for Your Thanksgiving Dinner. 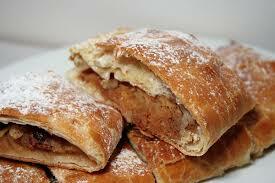 - Take the puff pastry out to thaw according to the package instructions. - Heat oven to 250 degrees. - Peel/core and thinly slice apples and toss with lemon juice. - Add cinnamon, cardamon and maple syrup and toss to coat. - Layout 1 piece of the pastry dough on a slightly floured surface and add 1/4 of the apple mixture onto half of the pastry. Fold over and pinch the edges. Repeat with the next 3 pieces of dough. - Place on a baking pan lined with parchment paper and put in oven for 15-20 minutes. - Remove and enjoy hot or let it come to room temperature. 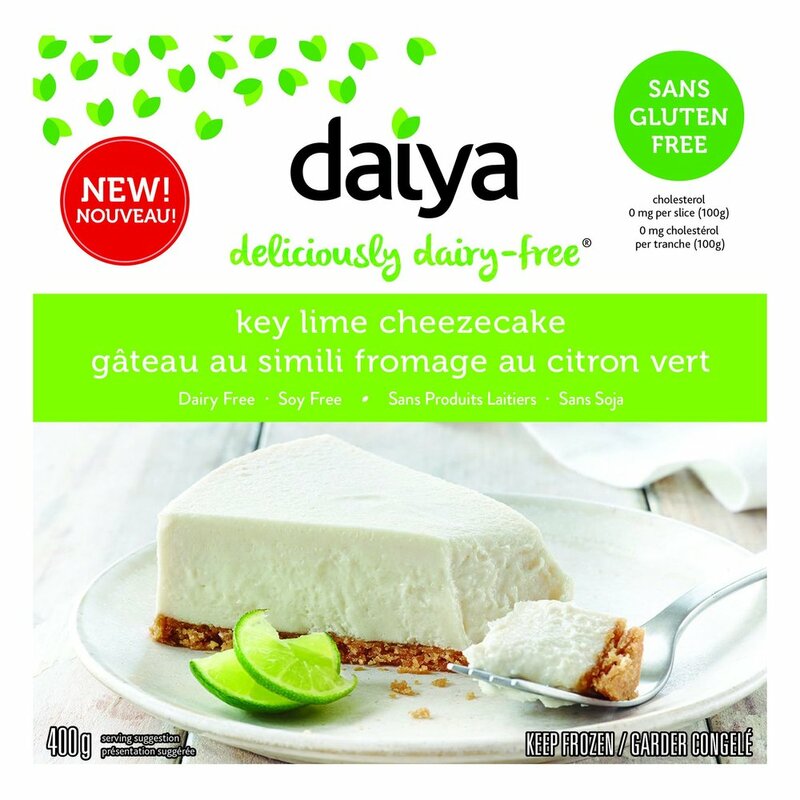 Serve with Vegan ice cream-YUM! - Heat oven to 350 F.
- Add all of the ingredients into a bowl and mix well. You can use a hand mixer. - Pour the mixture into the pie shell and bake for 60 minutes. The middle should be a bit wobbly. - Let cool and refrigerate for 3-4 hours or overnight. - Top with Vegan whipped cream and a light sprinkle of cinnamon. - Serve with Vegan ice cream. If you don't have time or don't feel like making from scratch, there are a ton of choices out there! 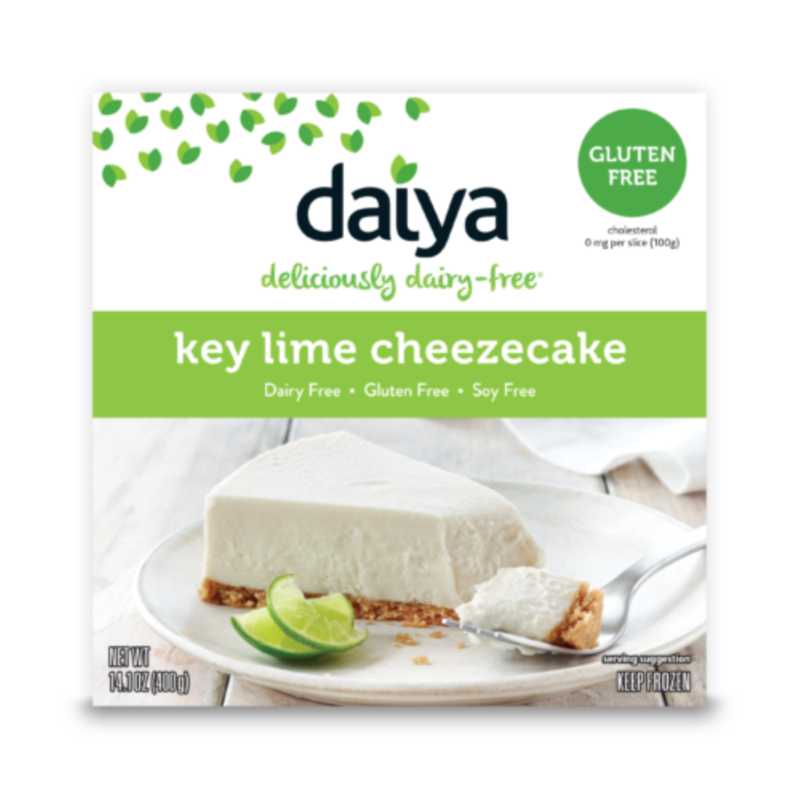 One of my favorites are the cheesecakes and key lime pies made by Daiya. Never have any of my friends or family realized these were plant based. There is also a huge variety of non-dairy ice creams and most stores are offering plant based desserts in their bakery section. If they don't, just ask! Thanksgiving Stuffing and Gravy - Easy and Cruelty Free! In the US, Thanksgiving is coming up soon so that means lots of friends, family, food and football! Last time we covered a main dish plant based alternative, but no thanksgiving meal would be complete without stuffing and gravy. Here are some great options to buy or make. 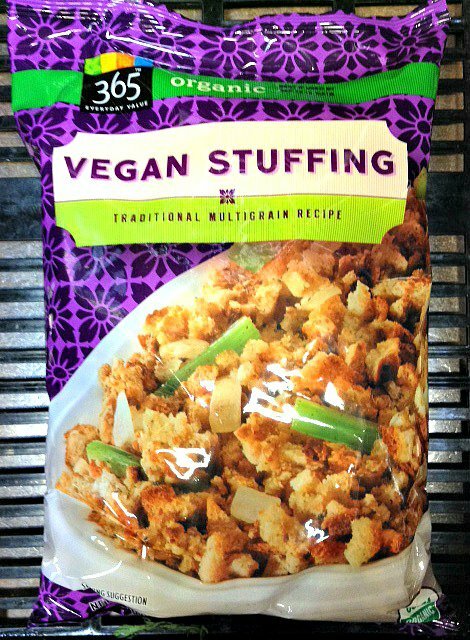 Grocery stores like Whole Foods carry plant-based packaged stuffing mix and they are all easy, quick and cruelty free. If you would like to make your own, here is an easy recipe with a couple of variations. - Heat oven to 350 degrees. - Add oil or vegan butter to a large pan on medium heat. Add onion, celery, carrots and apples and all spices. Cook until soft (about 7-10 minutes). Mix in cooked rice and remove from heat. - Place bread cubes in a large bowl and add onion mixture, and 1 ½ cups of stock. If mixture is dry add more stock. Taste and adjust seasoning. - Place mixture in a lined or greased 9x13 pan and cover with tin foil. - Cook for 35-40 minutes. To make Cornbread Stuffing, use the above recipe and replace the bread with homemade or prepared cornbread. To make Mushroom Stuffing, use the above recipe, add 2 cups of sliced mushrooms and use mushroom broth. Add the mushrooms to the pan when cooking onion mixture. - In a saucepan over medium heat, melt butter, add spices and flour and stir until completely combined. 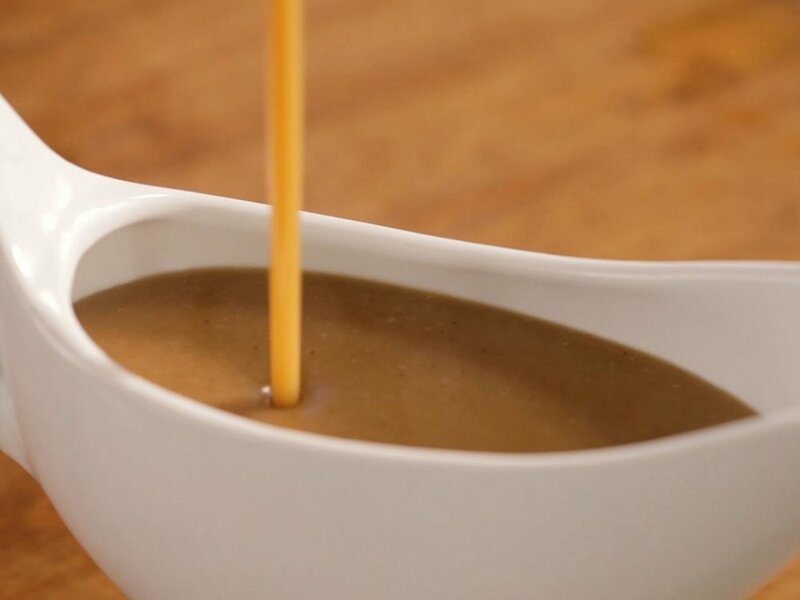 - Slowly add broth, stirring constantly until there are no lumps and gravy has thickened. - Heat oil in a large saucepan over medium heat, add onions, mushrooms and spices. Cook until soft (about 7-10 minutes). - Add butter and flour and mix until it is completely combined. These taco's are easy to put together and are great for a weekday dinner or a Sunday lunch. To speed things up, add your cashews to hot water in the morning so they will be ready for you when you need them. Enjoy! - Slice the tofu into 4 pieces, width-wise. Next, slice each piece into 4 thin strips. You should have 16 strips about 1/4 to 1/2 inch thick. - Mix the flour, bear, spices and salt together in a bowl. Make sure there are no lumps. - Add oil in a medium sized cast iron or regular frying pan. The oil should be at least 1/8-inch deep. Place the pan over medium-high heat. - Dip your tofu strips into the batter to coat all sides and place the tofu in the pan, leaving space between strips. Cook the tofu for about two minutes on each side or until it is browned and crispy. Transfer to a plate lined with paper towel. Repeat until all of the tofu strips are cooked, adding oil to the skillet as needed between batches. Set aside. - Combine the lime juice, oil and spices together until mixed well. - Mix all of the ingredients together, add dressing let sit for 30 minutes. - Heat the water until just simmering in a pot over medium heat. Add cashews and let sit at least for at least 30 minutes and up to 6 hours. - Put cashews and water into a blender and blend until the sauce no longer feels grainy. - Add the rest of the ingredients and blend until mixed thoroughly. 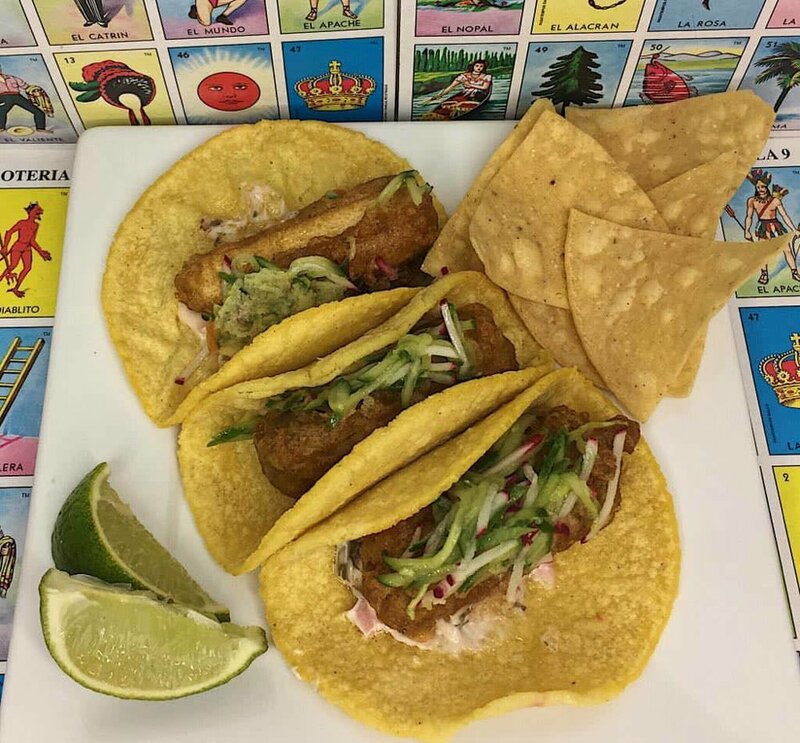 Assemble your tacos – spread some crema, add your fried tofu and top with your slaw. Serve with lime wedges. Feel free to add chopped avocado or your favorite salsa.